Think you have nuts enough to fly into the bad lands and do the deed? The 451st Bomb Group (H) is always seeking motivated B-24 pilots. Use of Roger Wilco is required as it is our primary inflight communications program. 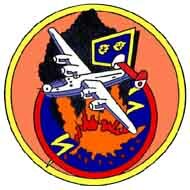 Disrespect of other 451st BG memembers and other Warbirds players will not be tolerated. Be ready to fly in close formation for extended periods of time. or contact bdybag in game! Remember: B-24 pilots of all skill levels are welcome.